Development News #68 - Optimization and Improvements - are never enough. Client side collision detection optimized. There are some visual side effects possible. Please let us know if you experience this! New Web Map implemented! 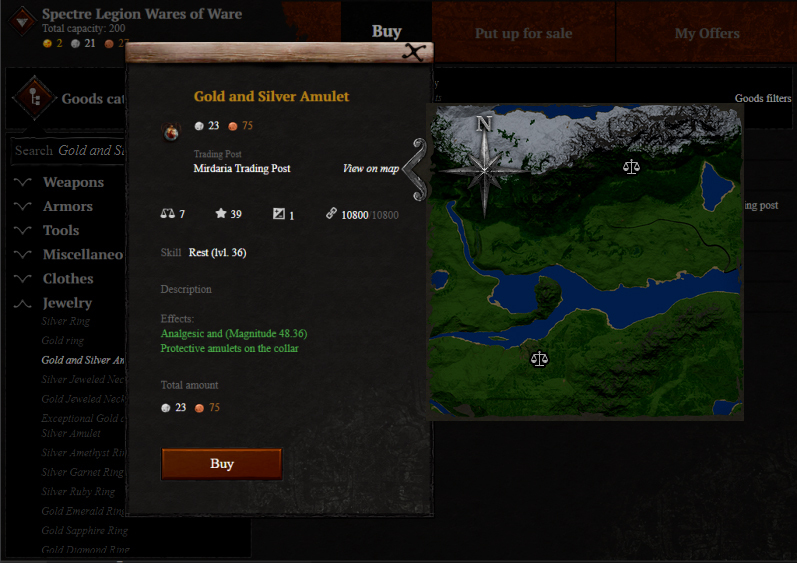 In the game and on our site you will see the same map now. We plan to add a lot of new functionality to it later on. Reverted back to the “Hollywood night” where you can see things much clearer. We had a lot of discussions about it internally and externally and our decision is final. All minigames are working on HTML5 now. That should add more stability to the client side and better overall performance of both minigames and the game client. One of your most frequently requested features, which has been in development for a looong time, is at the finish line right now. You can expect horsedrawn carts to be patched into the game ‘Soon™’. why this feature has taken so long to implement. We have also implemented even more optimizations for the instanced battle servers in order to minimize the amount of lag during these huge battles. We want to thank all of our players, who have regularly organized stress test battles every weekend, and even some on workdays, to help us stabilize and improve this feature!